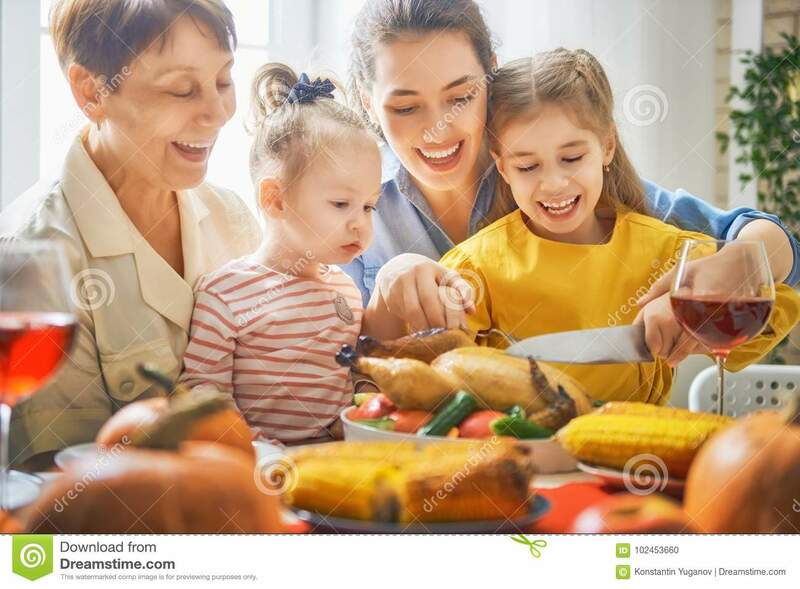 (RxWiki News) Extra care in the kitchen can easily minimize the risk of foodborne illness and ensure a happy and healthy family Thanksgiving this year. Around 45 million turkeys will be eaten this Thanksgiving. Unfortunately, holiday meals — particularly those featuring turkey — have been linked to outbreaks of bacterial diseases caused by Salmonella, Campylobacter and Clostridium perfringens. Eggs, poultry and raw meat can spread bacteria to other foods. If those foods are not cooked before eating, they could pose a risk of foodborne illness. This is called cross-contamination. To prevent cross-contamination, use separate cutting boards, utensils and plates for eggs, poultry and raw meat. Furthermore, always wash your hands, counters, and utensils after touching raw turkey and before starting on other foods. Make sure to wash your hands with soap and water for at least 20 seconds before, during, and after preparing food as well as before eating. Furthermore, be sure to wash all surfaces including your cutting boards and countertops as well as your utensils with hot, soapy water. When the bird begins to thaw, any bacteria that may have been present before freezing can begin to grow again. The "danger zone" for bacteria to grow is between 40 and 140 degrees Fahrenheit. There are three safe ways to thaw food: in the refrigerator, in cold water and in the microwave oven. i) Immediately after you buy the frozen turkey at the grocery store, take it home and store it in the freezer. Thawing your bird on the kitchen counter, outside or in the garage is a food safety no-no. ii) When thawing a turkey in the refrigerator, plan to allow it to thaw for 24 hours for each four to five pounds (at 40 degrees Fahrenheit or below). Be sure to place the turkey in a container to prevent the juices from dripping on ready-to-eat foods. For example, thaw a 16- to 20-pound turkey for four to five days. It is important to note that you can keep a thawed turkey in the refrigerator for one or two days before cooking. If you are planning to use cold water or a microwave to defrost the turkey, know that birds thawed in cold water or in the microwave will have to be cooked immediately. i) Make sure the turkey is in a leak-proof plastic bag to prevent cross-contamination. This also prevents the turkey from absorbing water. ii) Submerge the wrapped turkey in cold tap water. iii) Change the water every 30 minutes until the turkey is thawed. iv) Allow about 30 minutes per pound to defrost. i) Follow the instructions from your microwave's manufacturer when defrosting your turkey. It is safest to cook stuffing outside the turkey, such as in its own casserole dish. This also helps ensure uniform cooking. If dressing is cooked inside the turkey, add it just before cooking and use a food thermometer to ensure the stuffing reaches an internal temperature of at least 165 degrees. Bacteria can survive in stuffing that has not reached this temperature, which could result in foodborne illness. It is best to wait 20 minutes after removing the turkey from the oven before removing the stuffing, as this allows the stuffing to cook a little longer. Turkey is ready for consumption only after it has been cooked to a temperature of 165 degrees. The best way to check is by using a meat thermometer and checking in multiple spots to ensure the turkey has been cooked thoroughly. The Centers for Disease Control and Prevention (CDC) recommends setting the oven temperature to at least 325 degrees. Next, place the completely thawed turkey, breast side up, in a roasting pan that is 2 to 2.5 inches deep. The cooking time will depend on the weight of the turkey. To ensure the turkey has reached a safe internal temperature of 165 degrees Fahrenheit, insert a food thermometer into the center of the stuffing, the thickest portions of the breast, and the innermost part of the thigh and wing. Before removing all of the stuffing from the cavity, let the turkey stand for 20 minutes. 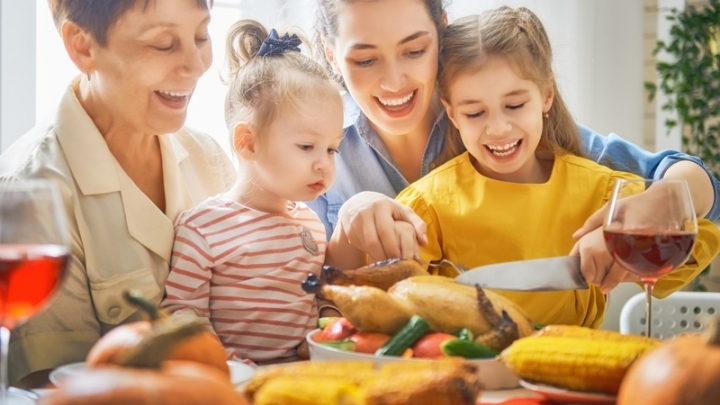 Many families leave out a buffet of food for hours to allow family members to get seconds or wrap up doggie bags, feed late-arriving relatives, or simply because they're exhausted from cooking and too stuffed to begin putting food away. The rule of thumb is to refrigerate perishable food within two hours. This is because bacteria can multiply very quickly if left out in the “danger zone,” which is between 40°F and 140°F. The US Department of Agriculture (USDA) has released a range of resources — from smartphone apps to a "meat and poultry hotline" — to help guide consumers safely through the holiday season. The meat and poultry hotline can be reached at 1-888-674-6854. The app can be found under the name "FoodKeeper App." These resources can help you decide what is safe to use and what you should throw away. They also offer guidance on safe ways to keep your leftovers.